Minocqua Area Ice Fishing Report! 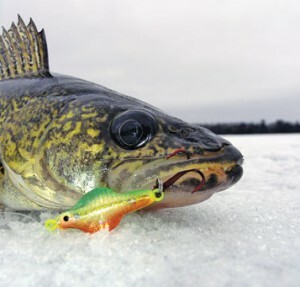 Greg Bohn's Strictly Walleye Guide Service provides updated Vilas & Oneida County ice fishing reports weekly starting (Dec 1st - March 31st). Jam packed with ice tackle secrets, fishing tips & more! 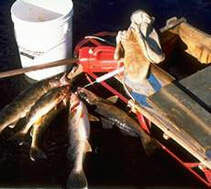 Current "On the Water" exposure to walleye & trophy panfish Will keep you informed. Learn "What Lakes are Hot & What's Not! Join us weekly for all your Northwood's ice fishing tips! Early Ice Safety Tips-Never fish alone' period! Remember the Buddy system. Always share which lake & exact spot you plan to fish. Remember to update your contacts, if you relocate to another lake. Watch for angler activity. The ice will be safest there. Always take along a cell phone in weather proof bag. Don't forget ice safety picks & chissel (Spud Bar). Humminbird Electronics - The New Humminbird Ice 55 and Ice 45 feature LCD Technology & fiber optic (3 to 6) color signals. Very impressive! I tried the Ice 55 yesterday for bluegill. If your shopping for a new ice flasher, this might be the one! The best Minocqua area weather link. Meteorologist Matt Benz forecasts daily weather alerts and patterns. Know the local weekend weather forecast, storm predictions and temperatures before you leave home. Panfish Plastics - Lindy spadetails in purple or white tearing up the big bull gills.